A seismogram is a graph output by a seismograph. It is a record of the ground motion at a measuring station as a function of time. Seismograms typically record motions in three cartesian axes, with the z axis perpendicular to the Earth's surface and the x- and y- axes parallel to the surface. The energy measured in a seismogram may result from an earthquake or from some other source, such as an explosion. Seismograms can record lots of things, and record many little waves, called microseisms. These tiny microseisms can be caused by heavy traffic near the seismograph, waves hitting a beach, the wind, and any number of other ordinary things that cause some shaking of the seismograph. The 1989 Loma Prieta earthquake occurred in Northern California on October 17 at 5:04 p.m. local time. The shock was centered in The Forest of Nisene Marks State Park approximately 10 mi (16 km) northeast of Santa Cruz on a section of the San Andreas Fault System and was named for the nearby Loma Prieta Peak in the Santa Cruz Mountains. With an Mw magnitude of 6.9 and a maximum Modified Mercalli intensity of IX (Violent), the shock was responsible for 63 deaths and 3,757 injuries. The Loma Prieta segment of the San Andreas Fault System had been relatively inactive since the 1906 San Francisco earthquake until two moderate foreshocks occurred in June 1988 and again in August 1989. An earthquake radiates energy in the form of different kinds of seismic waves, whose characteristics reflect the nature of both the rupture and the earth's crust the waves travel through. Determination of an earthquake's magnitude generally involves identifying specific kinds of these waves on a seismogram, and then measuring one or more characteristics of a wave, such as its timing, orientation, amplitude, frequency, or duration. Additional adjustments are made for distance, kind of crust, and the characteristics of the seismograph that recorded the seismogram. The original "Richter" scale, developed in the geological context of Southern California and Nevada, was later found to be inaccurate for earthquakes in the central and eastern parts of the continent (everywhere east of the Rocky Mountains) because of differences in the continental crust. All these problems prompted the development of other scales. In Japan, for shallow (depth < 60 km) earthquakes within 600 km, the Japanese Meteorological Agency calculates  a magnitude labeled MJMA, MJMA, or MJ. (These should not be confused with moment magnitudes JMA calculates, which are labeled Mw(JMA) or M(JMA), nor with the Shindo intensity scale.) JMA magnitudes are based (as typical with local scales) on the maximum amplitude of the ground motion; they agree "rather well"  with the seismic moment magnitude Mw  in the range of 4.5 to 7.5,  but underestimate larger magnitudes. Surface waves propagate along the Earth's surface, and are principally either Rayleigh waves or Love waves. For shallow earthquakes the surface waves carry most of the energy of the earthquake, and are the most destructive. Deeper earthquakes, having less interaction with the surface, produce weaker surface waves. The surface-wave magnitude scale, variously denoted as Ms, MS, and Ms, is based on a procedure developed by Beno Gutenberg in 1942  for measuring shallow earthquakes stronger or more distant than Richter's original scale could handle. Notably, it measured the amplitude of surface waves (which generally produce the largest amplitudes) for a period of "about 20 seconds". The Ms  scale approximately agrees with ML  at ~6, then diverges by as much as half a magnitude. A revision by Nuttli (1983), sometimes labeled MSn,  measures only waves of the first second. Another scale of particular importance for tsunami warnings is the mantle magnitude scale, Mm. This is based on Rayleigh waves that penetrate into the Earth's mantle, and can be determined quickly, and without complete knowledge of other parameters such as the earthquake's depth. One approach for doing this (developed by Beno Gutenberg and Charles Richter in 1942  ) relates the maximum intensity observed (presumably this is over the epicenter), denoted I0 (capital I, subscripted zero), to the magnitude. It has been recommended that magnitudes calculated on this basis be labeled Mw(I0),  but are sometimes labeled with a more generic Mms. A special case is the Seismicity of the Earth catalog of Gutenberg & Richter (1954). Hailed as a milestone as a comprehensive global catalog of earthquakes with uniformly calculated magnitudes,  they never published the full details of how they determined those magnitudes. Consequently, while some catalogs identify these magnitudes as MGR, others use UK (meaning "computational method unknown"). Subsequent study found many of the Ms  values to be "considerably overestimated." Further study has found that most of the MGR  magnitudes "are basically Ms  for large shocks shallower than 40 km, but are basically mB  for large shocks at depths of 40–60 km." Gutenberg and Richter also used an italic, non-bold "M without subscript"  – also used as a generic magnitude, and not to be confused with the bold, non-italic M used for moment magnitude – and a "unified magnitude" m (bolding added). While these terms (with various adjustments) were used in scientific articles into the 1970s,  they are now only of historical interest. An ordinary (non-italic, non-bold) capital "M" without subscript is often used to refer to magnitude generically, where an exact value or the specific scale used is not important. ↑ Bormann, Wendt & Di Giacomo 2013 , p. 37. The relationship between magnitude and the energy released is complicated. See §3.1.2.5 and §3.3.3 for details. ↑ Bormann, Wendt & Di Giacomo 2013 , §3.1.2.1. ↑ Bolt 1993 , p. 164 et seq..
↑ Bolt 1993 , pp. 170–171. ↑ Bolt 1993 , p. 170. ↑ See Bolt 1993, Chapters 2 and 3, for a very readable explanation of these waves and their interpretation. J. R. Kayal's excellent description of seismic waves can be found here. ↑ See Havskov & Ottemöller 2009 , §1.4, pp. 20–21, for a short explanation, or MNSOP-2 EX 3.1 2012 for a technical description. ↑ Chung & Bernreuter 1980 , p. 1. ↑ Bormann, Wendt & Di Giacomo 2013 , p. 18. ↑ IASPEI IS 3.3 2014 , pp. 2–3. ↑ Kanamori 1983 , p. 187. ↑ Richter 1935 , p. 7. ↑ Spence, Sipkin & Choy 1989 , p. 61. ↑ Richter 1935 , pp. 5; Chung & Bernreuter 1980 , p. 10. Subsequently redefined by Hutton & Boore 1987 as 10 mm of motion by an ML  3 quake at 17 km. ↑ Chung & Bernreuter 1980 , p. 1; Kanamori 1983 , p. 187, figure 2. ↑ Chung & Bernreuter 1980 , p. ix. ↑ The "USGS Earthquake Magnitude Policy" for reporting earthquake magnitudes to the public as formulated by the USGS Earthquake Magnitude Working Group was implemented January 18, 2002, and posted at https://earthquake.usgs.gov/aboutus/docs/020204mag_policy.php. It has since been removed; a copy is archived at the Wayback Machine, and the essential part can be found here. ↑ Bormann, Wendt & Di Giacomo 2013 , §3.2.4, p. 59. ↑ Rautian & Leith 2002 , pp. 158, 162. ↑ See Datasheet 3.1 in NMSOP-2 for a partial compilation and references. ↑ Katsumata 1996; Bormann, Wendt & Di Giacomo 2013 , §3.2.4.7, p. 78; Doi 2010. ↑ Bormann & Saul 2009 , p. 2478. ↑ See also figure 3.70 in NMSOP-2. ↑ Havskov & Ottemöller 2009 , p. 17. ↑ Bormann, Wendt & Di Giacomo 2013 , p. 37; Havskov & Ottemöller 2009 , §6.5. See also Abe 1981. ↑ Havskov & Ottemöller 2009 , p. 191. ↑ Bormann & Saul 2009 , p. 2482. ↑ MNSOP-2/IASPEI IS 3.3 2014 , §4.2, pp. 15–16. ↑ Kanamori 1983 , pp. 189, 196; Chung & Bernreuter 1980 , p. 5. ↑ Bormann, Wendt & Di Giacomo 2013 , pp. 37,39; Bolt (1993 , pp. 88–93) examines this at length. ↑ Bormann, Wendt & Di Giacomo 2013 , p. 103. ↑ IASPEI IS 3.3 2014 , p. 18. ↑ Nuttli 1983 , p. 104; Bormann, Wendt & Di Giacomo 2013 , p. 103. ↑ IASPEI/NMSOP-2 IS 3.2 2013 , p. 8. ↑ Bormann, Wendt & Di Giacomo 2013 , §3.2.4.4. The "g" subscript refers to the granitic layer through which Lg waves propagate. Chen & Pomeroy 1980 , p. 4. See also J. R. Kayal, "Seismic Waves and Earthquake Location", here, page 5. ↑ Nuttli 1973 , p. 881. ↑ Bormann, Wendt & Di Giacomo 2013 , §3.2.4.4. ↑ Havskov & Ottemöller 2009 , pp. 17–19. See especially figure 1-10. ↑ Gutenberg 1945a; based on work by Gutenberg & Richter 1936. ↑ Stover & Coffman 1993 , p. 3. ↑ Bormann, Wendt & Di Giacomo 2013 , pp. 81–84. ↑ MNSOP-2 DS 3.1 2012 , p. 8. ↑ Bormann et al. 2007 , p. 118. ↑ Rautian & Leith 2002 , pp. 162, 164. Mw  = (2/3) (log M0  – 9.1). Formula 3.68 in Bormann, Wendt & Di Giacomo 2013 , p. 125. ↑ Anderson 2003 , p. 944. ↑ Havskov & Ottemöller 2009 , p. 198; Bormann, Wendt & Di Giacomo 2013 , p. 22. ↑ NMSOP-2 IS 3.6 2012 , §7. ↑ See Bormann, Wendt & Di Giacomo 2013 , §3.2.7.2 for an extended discussion. ↑ NMSOP-2 IS 3.6 2012 , §5. ↑ Bormann, Wendt & Di Giacomo 2013 , p. 131. ↑ Rautian et al. 2007 , p. 581. ↑ Rautian et al. 2007; NMSOP-2 IS 3.7 2012; Bormann, Wendt & Di Giacomo 2013 , §3.2.4.6. ↑ Bindi et al. 2011 , p. 330. Additional regression formulas for various regions can be found in Rautian et al. 2007 , Tables 1 and 2. See also IS 3.7 2012 , p. 17. ↑ Rautian & Leith 2002 , p. 164. ↑ Bormann, Wendt & Di Giacomo 2013 , §3.2.6.7, p. 124. ↑ Abe 1979; Abe 1989 , p. 28. More precisely, Mt  is based on far-field tsunami wave amplitudes in order to avoid some complications that happen near the source. Abe 1979 , p. 1566. ↑ Blackford 1984 , p. 29. ↑ Abe 1989 , p. 28. ↑ Bormann, Wendt & Di Giacomo 2013 , §3.2.8.5. ↑ Bormann, Wendt & Di Giacomo 2013 , §3.2.4.5. ↑ Havskov & Ottemöller 2009 , §6.3. ↑ Bormann, Wendt & Di Giacomo 2013 , §3.2.4.5, pp. 71–72. ↑ Musson & Cecić 2012 , p. 2. ↑ Gutenberg & Richter 1942. ↑ Grünthal 2011 , p. 240. ↑ Engdahl & Villaseñor 2002. ↑ Makris & Black 2004 , p. 1032. ↑ NMSOP-2 IS 3.2 , pp. 1–2. ↑ Abe 1981 , p. 74; Engdahl & Villaseñor 2002 , p. 667. ↑ Engdahl & Villaseñor 2002 , p. 688. ↑ Abe & Noguchi 1983. ↑ Abe 1981 , p. 72. ↑ Defined as "a weighted mean between MB and MS." Gutenberg & Richter 1956a , p. 1. ↑ "At Pasadena, a weighted mean is taken between mS as found directly from body waves, and mS, the corresponding value derived from MS ...." Gutenberg & Richter 1956a , p. 2. Hough, S.E. (2007), Richter's scale: measure of an earthquake, measure of a man, Princeton University Press, ISBN 978-0-691-12807-8 , retrieved 10 December 2011 . The Modified Mercalli intensity scale, descended from Giuseppe Mercalli's Mercalli intensity scale of 1902, is a seismic intensity scale used for measuring the intensity of shaking produced by an earthquake. It measures the effects of an earthquake at a given location, distinguished from the earthquake's inherent force or strength as measured by seismic magnitude scales. While shaking is driven by the seismic energy released by an earthquake, earthquakes differ in how much of their energy is radiated as seismic waves. Deeper earthquakes also have less interaction with the surface, and their energy is spread out across a larger area. Shaking intensity is localized, generally diminishing with distance from the earthquake's epicenter, but can be amplified in sedimentary basins and certain kinds of unconsolidated soils. Beno Gutenberg was a German-American seismologist who made several important contributions to the science. 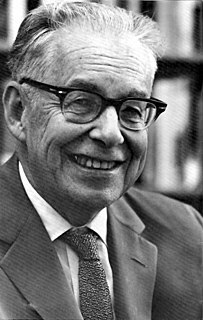 He was a colleague and mentor of Charles Francis Richter at the California Institute of Technology and Richter's collaborator in developing the Richter magnitude scale for measuring an earthquake's magnitude. Hiroo Kanamori is a Japanese seismologist who has made fundamental contributions to understanding the physics of earthquakes and the tectonic processes that cause them. The surface wave magnitude scale is one of the magnitude scales used in seismology to describe the size of an earthquake. It is based on measurements in Rayleigh surface waves that travel primarily along the uppermost layers of the Earth. It is currently used in People's Republic of China as a national standard for categorising earthquakes. The concept of Earthquake Duration Magnitude - originally proposed by Bisztricsany in 1958 using surface waves only - is based on the realization that on a recorded earthquake seismogram, the total length of the seismic wavetrain - sometimes referred to as the CODA - reflects its size. Thus larger earthquakes give longer seismograms [as well as stronger seismic waves] than small ones. The seismic wave interval measured on the time axis of an earthquake record - starting with the first seismic wave onset until the wavetrain amplitude diminishes to at least 10% of its maximum recorded value - is referred to as "earthquake duration". It is this concept that Bisztricsany first used to develop his Earthquake Duration Magnitude Scale employing surface wave durations. Recent advances are improving the speed and accuracy of loss estimates immediately after earthquakes so that injured people may be rescued more efficiently. "Casualties" are defined as fatalities and injured people, which are due to damage to occupied buildings. After major and large earthquakes, rescue agencies and civil defense managers rapidly need quantitative estimates of the extent of the potential disaster, at a time when information from the affected area may not yet have reached the outside world. For the injured below the rubble every minute counts. To rapidly provide estimates of the extent of an earthquake disaster is much less of a problem in industrialized than in developing countries. This article focuses on how one can estimate earthquake losses in developing countries in real time. Energy class – also called energy class K or K-class , and denoted by K – is a measure of the force or magnitude of local and regional earthquakes used in countries of the former Soviet Union, and Cuba and Mongolia. K is nominally the logarithm of seismic energy radiated by an earthquake, as expressed in the formula K = log ES. Values of K in the range of 12 to 15 correspond approximately to the range of 4.5 to 6 in other magnitude scales; a magnitude Mw  6.0 quake will register between 13 and 14.5 on various K-class scales. The energy class system was developed by seismologists of the Soviet Tadzhikskaya Complex [Interdisciplinary] Seismological Expedition established in the remote Garm (Tajikistan) region of Central Asia in 1954 after several devastating earthquakes in that area.